We are happy to offer this great Pu-erh, it is aged by starting as a green Pu-erh and slowly dry aging and storing the cakes to create a real great tea. Most Pu-erh teas have water added to the leaves to accelerate the aging and fermenting process that turns the tea into its commonly known darker form. Great Pu-erh, however, start their lives as green tea but water is not added - instead. 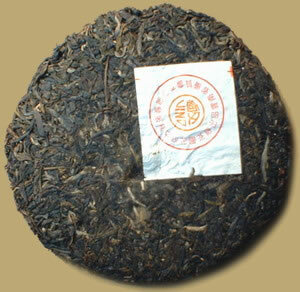 It is a rare opportunity for Pu-erh drinkers and collectors to acquire an aged green Pu-erh.